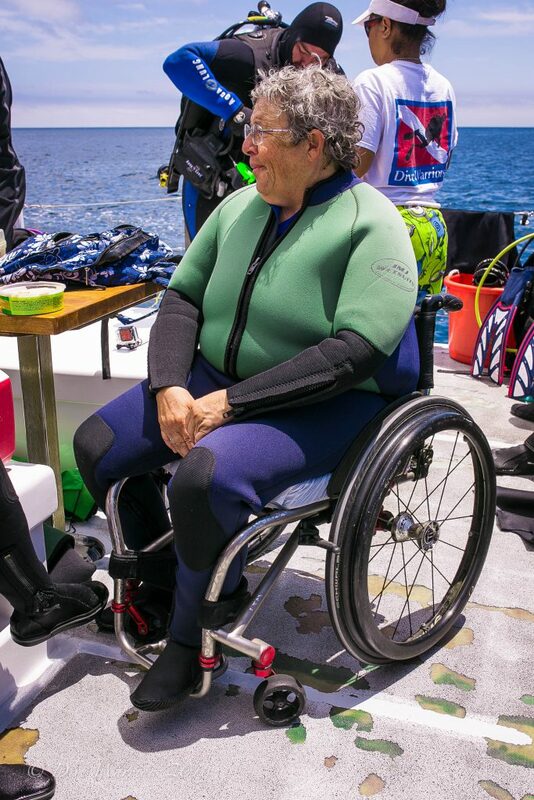 Through the healing power of scuba, California based non-profit, Dive Warriors, is on a mission to build confidence and self-esteem in veterans with disabilities. 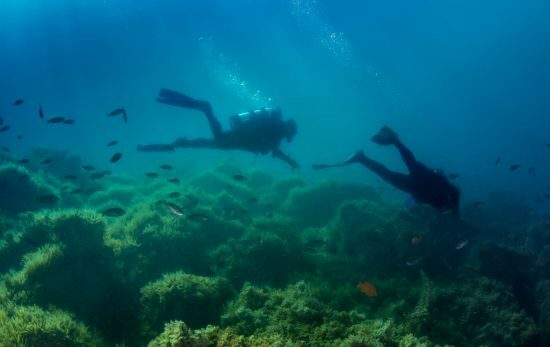 Twice a month they pack a boat full of these inspiring men and women and head to Catalina to experience the peace, weightlessness, and empowerment of diving together. Founder of Dive Warriors, Brad Mirman, took a step back from a career in filmmaking in Los Angeles to dedicate himself full-time to the mission of mental, physical, and emotional healing through scuba for our veterans. We learned a bit more about his journey to launching the program and the life changing impact that Dive Warriors has already made. Tell us the story behind the founding of Dive Warriors. This all started on a dive boat in the Bahamas one day when I met a group of disabled veterans. 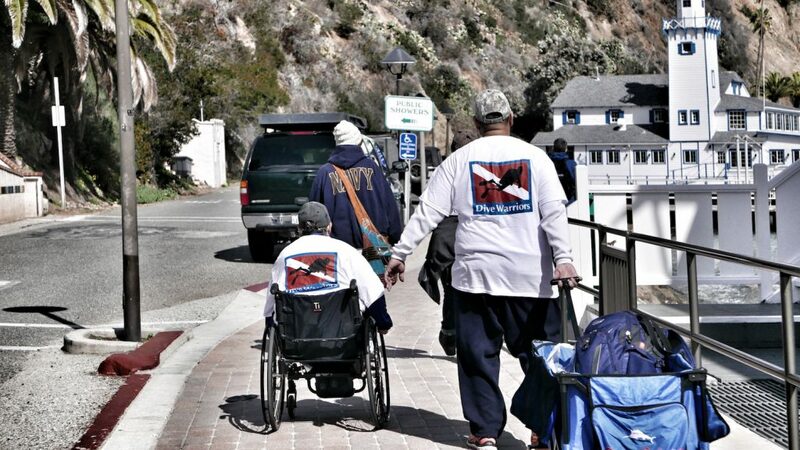 They had a Divemaster with them who was darting back and forth between all the veterans helping them to get ready. Being a Divemaster myself, I asked if there was anything I could do to help. He appreciated the offer and asked if I wouldn’t mind tagging along with them in the water. I was diving alone that day, so I agreed. The dive was pretty uneventful. I swam behind the group and didn’t do much except help one guy with his buoyancy. When we were nearing the end of the dive, I could see one of the guys who had lost his leg above the knee was lagging behind. I swam up to him and flashed the OK sign? Right away I could tell he was tired. He pointed to my arm. At first I wasn’t sure what he was trying to tell me. It was only when he reached over and grabbed my arm that I understood he wanted me to help him along. I started to kick and guided him over the reef and back to the mooring line. It was a little thing. So little, that I didn’t give it much thought. It wasn’t until later when we were back on the boat that I looked over at him that I saw he was looking at me with a smile and said, “Thank you.” Right away I could tell this wasn’t your everyday, obligatory ‘thank You’. It wasn’t the kind of ‘thank you’ that’s said in passing, or the kind your mother instilled in you to be polite when you were young. This was something else. This was a deeply heartfelt thank you to one stranger who had offered kindness to another. What I viewed as something that was no big deal was obviously quite a big deal to him. I thought about it that night at the hotel. I thought about it on the plane trip home. 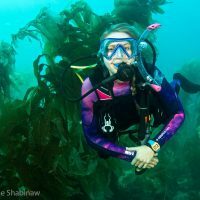 And the more I thought about it, the more I realized I wanted to get involved in sharing the sport I love with those who have given so much in the defense of our country — and so the idea of Dive Warriors was born. 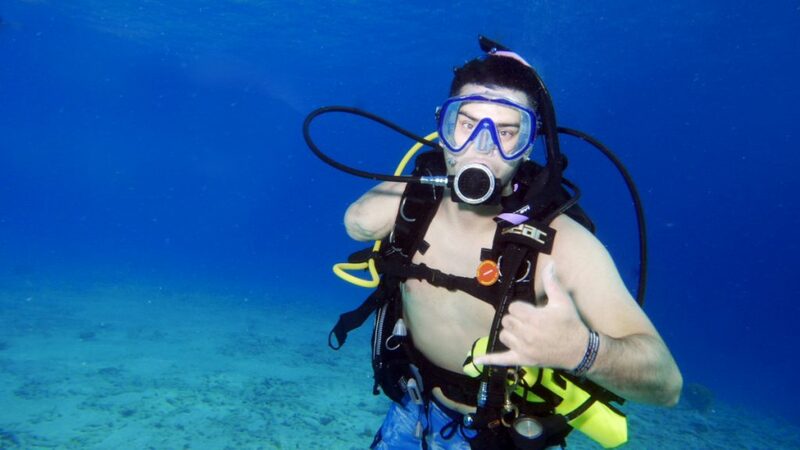 Why is scuba diving so important to the healing and recovery of disabled veterans? Dive Warriors is dedicated to empowering our disabled veterans on their road to recovery through the therapeutic qualities of scuba diving. We offer an environment of personal growth, camaraderie and a social setting where they can interact with other disabled veterans with similar issues. Through scuba diving, they overcome challenges and get relief from stress and the pain they deal with on a daily basis. 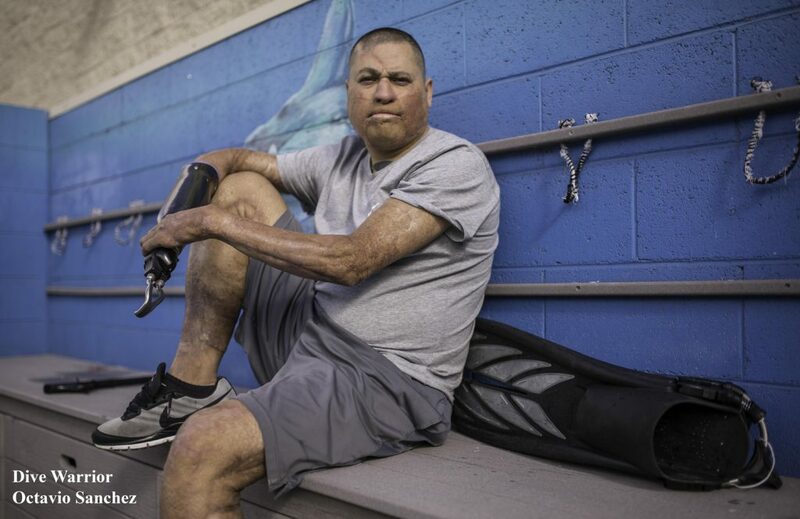 At Dive Warriors, our programs are designed to help improve lives of our wounded service members. 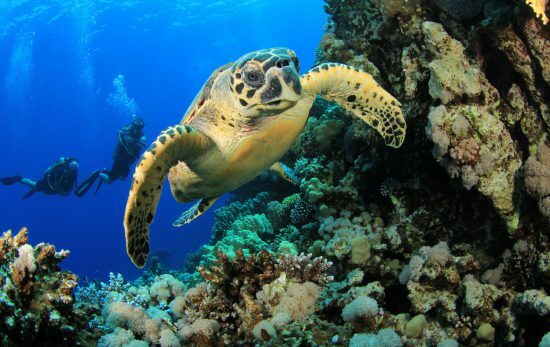 Scuba diving is an activity that has proven to help with the rehabilitation process. It instills a sense of confidence and helps many with controlling their stress. The water creates a weightless environment for those struggling with physical impairments and offers them a freedom they can’t find on land. What do you hope more people would know about the organization? That this is not a group of people splashing around in the water. This is about healing pain and saving lives. Water, and the feeling of weightless, provides the perfect gravity-free environment for those veterans who might otherwise struggle on land. It helps build confidence and gives them a sense of accomplishment. It helps them take on challenges that may once have seemed impossible to them. How can more people get involved in this life-changing experience? Dive Warriors pays for all costs for our disabled veterans and we now have to run two boats a month to keep all of our members in the water. So, I would ask anyone reading this to please give whatever you can to help us give back to those who have given so much for us. 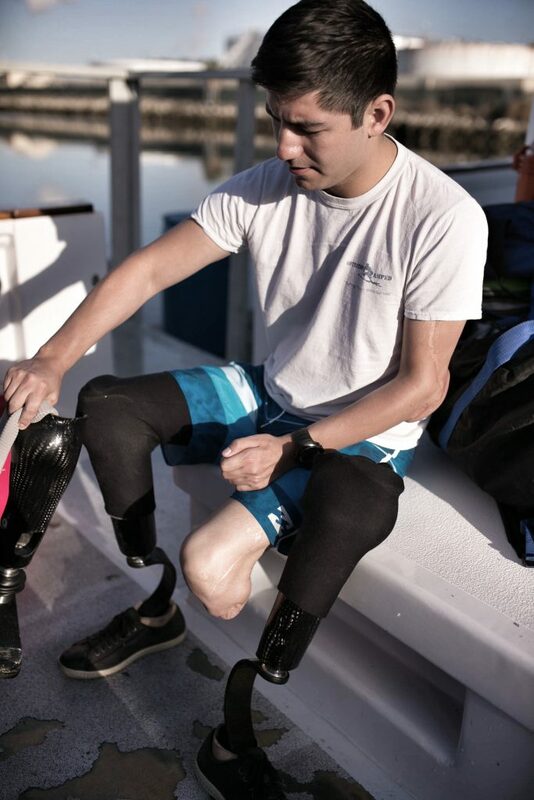 To learn more about Dive Warriors, visit their website. “I would like to tell you about a journey that started ten months ago. I was invited to go on a dive boat to meet a man named Brad Mirman. He was starting a nonprofit by the name of Dive Warriors. I was at a place in my life that I was going to stop scuba diving even though the benefits were so great. This meant I would slowly go back on heavy medications to control my pain and on more pills to numb my brain to help with my depression, anxiety, and suicidal thoughts. Almost all my diving up to this point was with my friends who tried to take me with them when they could, but my being confined to a wheelchair made that difficult at times. So to be able to dive meant I had to take more diving classes with strangers. I was very hesitant to go with this new group of people because I just felt I would get excited and then be on my own again – more training, then ‘goodbye’. That is not what happened. The five other people there that day were also disabled veterans and all of them were certified divers. Brad was starting something great. 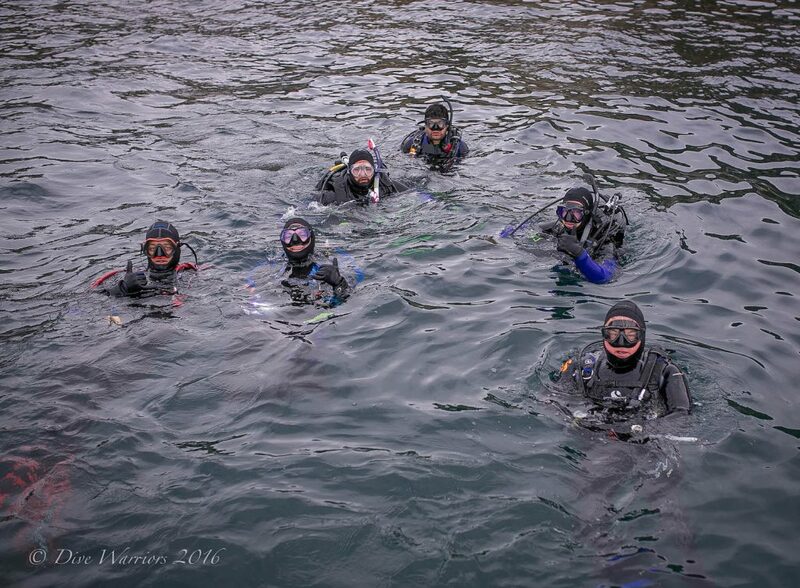 A group comprised of disabled veterans who can get together and dive. This might not sound like much, but I am here to tell you it saves lives. It gives us a safe place to talk and have the camaraderie that we lost when we left the military. A lot of us get lost in the civilian world. We are trained to hold everything inside ourselves. We are taught not to complain, but to endure. Dive warriors gives us a feeling of belonging. A place where we don’t have to say anything and everyone gets it. For those of you reading this without disabilities, it’s normal to take your wellness for granted. Why shouldn’t you? You’ve never known anything else. You have no point of reference to look back to a time when you were any different. We do. We can see and feel what our disabilities have done to us, what they continue to do to us. And that’s where Dive Warriors comes in. You feel equal when you’re in the water. Pain goes away. Stress goes away. Drifting weightless under the surface you can do the same things anyone else can do and inside this group no one sees you as anything else than whole — even if someone is missing an arm, a leg, or has a traumatic brain injury or PTSD or Multiple Sclerosis or is paralyzed. Now I have the privilege of going out with my amazing brothers and sisters to dive once a month, and spend time with them at Dive Warriors events in between the dives. I get to break bread with them, and laugh and sometimes cry, but that’s ok. Here we are safe. I wish I could get every disabled veteran out to dive to show them that they can find peace and friendship that goes beyond the water and that they to do not have to suffer alone and sometimes lose their fight. 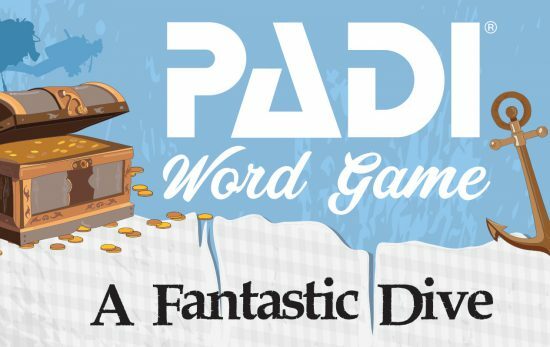 Build Your Own Scuba Story – Word Game!